Tensions are high as Belize gets ready for national and municipal elections. In a few hours, Belizeans will be lining up to make their voices be heard, and will be choosing which party will lead the next government of Belize. 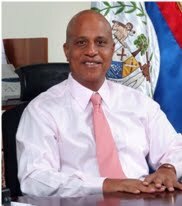 The last general election in Belize was in 2008, a race which pitted Prime Minister Dean Barrow’s United Democratic Party against the then dominant party, People’s United Party. Said Musa had led the country from 1998 to 2008. Tomorrow's vote will occur in a “double election” format, whereby voters will first cast ballots in the general election and then in the municipal election. In February of this year, Prime Minister Barrow indicated that the country might be considering defaulting on the loan and that led US rating agency Standard & Poor’s to downgrade Belize’s credit rating two notches deeper into junk territory. According to Belize’s Election and Boundaries Department, there are a total of 177,742 registered electors in Belize’s 31 voting districts. The vote will be monitored by an Organization of American States team headed by former US Ambassador to Honduras Frank Almaguer. Good luck Belize. May the elections be fair and peaceful! Polls will open at 7:00 a.m. to 6:00 p.m.